Besides getting your children to drink plenty of milk each day, be sure you don't forget the H2O! 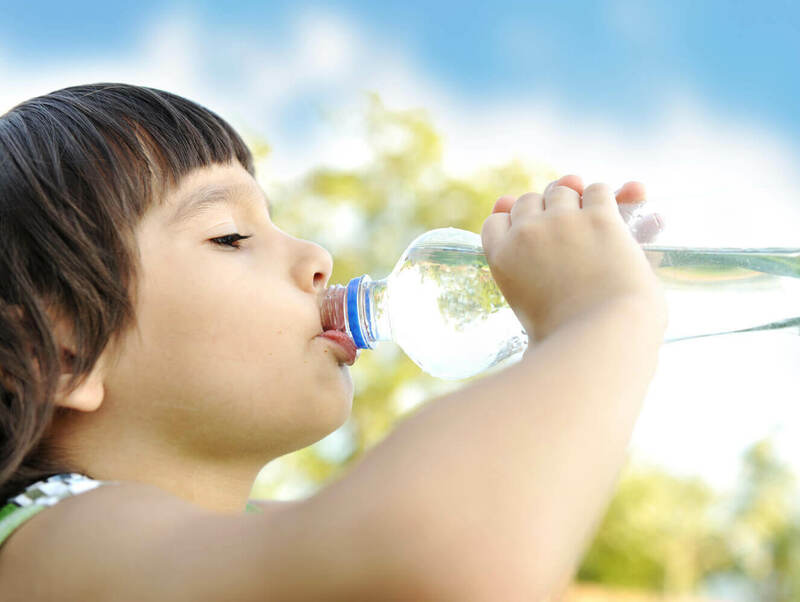 Although it has no nutrients, water is essential to your child's health. It makes up more than half of children' body weight and is needed to keep all parts of the body functioning properly. Water also helps transport nutrients and oxygen to cells, regulate body temperature, and maintain electrolyte (sodium) balance. There’s no specific amount of water recommended for children, but it’s a good idea to give them water throughout the day — not just when they’re thirsty. If your child doesn’t like the taste of water, add some lemon or lime for flavor. Fruits and veggies are also good sources of water. Children should drink more water when they’re ill, when it’s hot out, and when they’re physically active. To learn more about what your child needs for a healthy diet, check out The Five Food Groups for Children.